Secure Data Recovery brings reliable data recovery and computer forensics service to Livonia, Michigan. We have decades of experience with hard drive repair & recovery, RAID repair & recovery, SSD data recovery, mobile forensics, computer forensics, and other recovery services. Secure Data Recovery offers fast turnaround times and specialized services for any type of data recovery or digital forensics scenario. Here are some of our services below. Secure Data Recovery is the leader of the data recovery and digital forensics industry. We the only data recovery company’s that operates a Class 10 ISO 4 Cleanroom. A certified cleanroom ensures that we are providing the best environment for your media during the data recovery process; one that goes above conventional standards. We are also SSAE 18 Type II certified so your data remains secure during the whole process. Call our customer support team today to set up a free device evaluation. Our support team is available 24 hours a day and 7 days a week for your convenience. 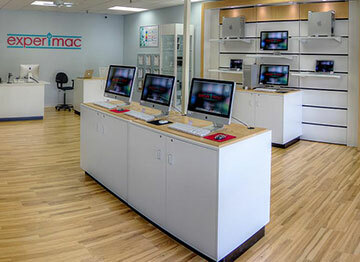 We employ certified Mac technicians and our engineers have years of experience with data recovery and digital forensics. Our skilled engineers can recover data from any type of data storage device. Some of the most common devices that our engineers in Livonia work with are smartphones, hard drives, solid state drives, RAID arrays, servers, tape repair, and more. All of our locations have an A+ rating with the Better Business Bureau. We strive to provide our customer with the best customer support. Our outstanding customer support team is available 24/7, call them today at 1-800-388-1266 and setup a risk-free media diagnosis. When you call, ask about our no recovery, no charge guarantee. Working with Fred Wright was a breeze! He made the process seamless and painless. Notifying us quickly of their ability to restore the data and then actually restoring the data to a drive for us was a very satisfying experience. I'm glad I decided to use their services. Fred did an awesome job keeping us informed throughout the whole process. Highly recommend Secure Data Recovery.